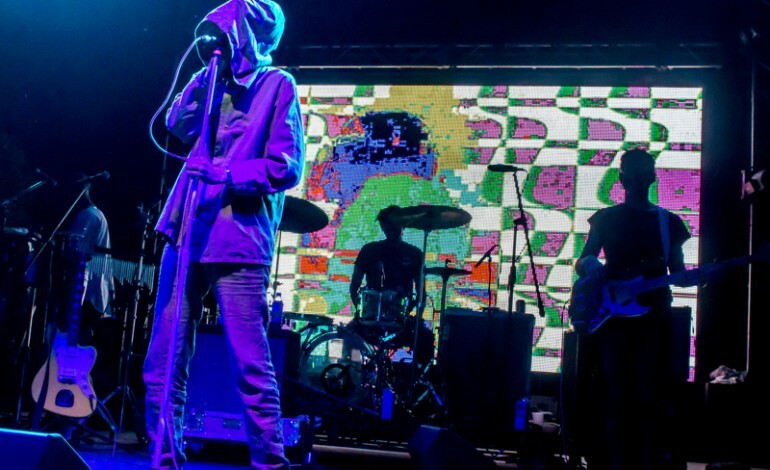 Deerhunter’s newest album will here sooner than one thinks. The band has announced that their much-anticipated LP Why Hasn’t Everything Already Disappeared? will be releasing January 18th. While waiting for the full entree, the band gave fans an appetizer in the form of a new song called “Element.” Leading man Bradford Cox described the song as “an elegy for ecology (a landscape done in toxic watercolors)” In a press release, the new album “forgets the questions and makes up unrelated answers. It gets up, walks around, it records itself in several strategic geographic points across North America. It comes home, restructures itself and goes back to bed to avoid the bad news.” See the tracklist below. The band will also be hitting the road at the top of next year. The tour will officially kick off January 17th at the Lodge Room in Los Angeles, CA. It will continue to Japan before making its way back to the states including stops in Nashville, Detroit, Washington DC, and Louisville, before concluding in Atlanta, GA at the Shaky Knees Music Festival May 3-5th alongside Beck, Cage the Elephant, and Tame Impala. They were also announced in the second round of showcasing artists for South by Southwest (SXSW), taking place March 11-17 in Austin, TX.